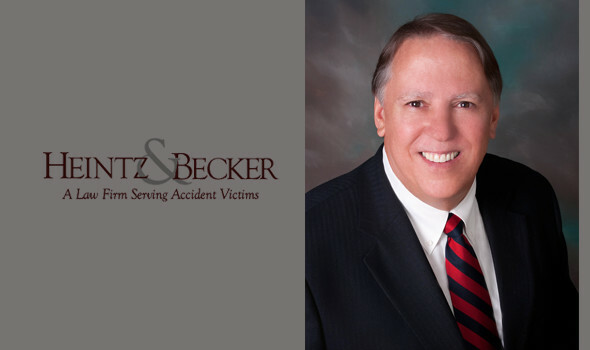 Personal injury attorney Steven E. Heintz is the founding partner at Heintz & Becker. He grew up in Bradenton and has degrees from Manatee Junior College and the University of South Florida. Before attending law school, he was a private investigator. He received his Juris Doctorate from Florida State University College of Law in 1980. Admitted to the Florida Bar in 1980, Mr. Heintz worked in the Public Defender’s office in Bradenton and the State Attorney’s office in West Palm Beach. For the last 25 years, he’s been exclusively representing catastrophic personal injury and accident victims. Mr. Heintz is also AV-rated and has the AV Preeminent rating – the highest possible ratings awarded by the prestigious Martindale-Hubbell® Law Directory. He is a member of the President’s Club of the Florida Justice Association, an active member of the American Association for Justice and a proud supporter of Mothers Against Drunk Driving. Proudly serving Bradenton and Sarasota area clients, personal injury attorney Steven E. Heintz is a member of the Million Dollar Advocates Forum, whose membership is limited to trial lawyers who have demonstrated exceptional skill, experience and excellence in litigation by obtaining a trial verdict, award or settlement in the amount of one million dollars or more. He authored a chapter in Florida Evidence that was published by Lawyers Cooperative in 1996. He is also a Master in the American Inns of Court and has lectured at continuing education seminars attended by other attorneys. Hobbies – Coaching youth football, fishing and traveling.